Tara Lee is a singer-songwriter, producer and actress from Ireland. She studied dance (ballet, street and modern) for 13 years at the Performing Arts College in Dublin, but is now based in London. 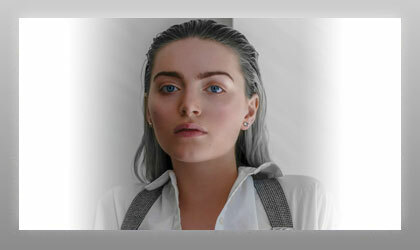 Citing influences ranging from Blondie to Massive Attack to heartfelt songwriters such as Nick Cave and Diane Warren, Tara has the unique ability to write raw, emotional and connecting ballads alongside contemporary edgy pop songs. Following a performance at MUSEXPO's International Music Industry Person of the Year Awards honoring esteemed writer Diane Warren, Tara was immediately signed by BMG Publishing. An exceptionally prolific songwriter herself, Tara recently collaborated with Blair McKichan (Paloma Faith, Sia, Lilly Allen), Justin Broad (Jessie J, Emeli Sandé, Corinne Bailey Rae), Matty Benbrook (Paulo Nutini, Dido, Jack Saveoretti) and Jonas Quant (Hurts, Kylie Minogue, Foxes). She has appeared in a number of films, TV programs and has had her music featured in a variety of movies. She supported Hurts on their December 2017 tour and performed with Drama for a sold out show at The Waiting Room in London in September.